The words (and numbers) Porsche 911 GT3 make the blood of any petrolhead pump that bit faster. The latest model is no exception, as these videos attest. Porsche have been refining and building upon their platform for the perfect sportscar since the 1960s. The latest 911 GT3 represents the latest step up in power, perfomance and driving pleasure from Stuttgart. Beauty is often found in flawed things; Porsche have been hanging their engines out the back for over 50 years now, but with this newest iteration of the company’s flagship track demon that flawed formula takes another step towards perfection. The four-litre flat-six behind the rear wheels has been revised to produce a hefty 493bhp – without turbos for the ultimate purist experience. Excess weight has been stripped out, giving this most extreme of minimalist driver’s car absolute poise at the limit. Don’t let the similar looks to its predecessor fool you; under that skin Porche’s engineers have been hard at work, adding rear-axle steering to help the GT3 through the corners, while all that power fires Porsche’s N/A track missile along the straights coupled to either a PDK seven-speed dual-clutch automatic giving absolute performance and 0-60 in a blistering 3.4 seconds, or an optional, lighter six-speed manual for those seeking a more old-school, connected driving experience and willing to take the hit of an extra half a second to reach 100km/h as trade-off. The more focused chassis in the GT3 puts it 25mm lower than the 911 Carrera S, bringing the centre of gravity lower and working with the aforementioned rear-wheel steer to aid agility and handling through the twisty parts. 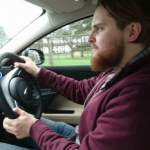 Depending on the speed, that system turns with or against the direction of the front wheels, with the car’s electronic brain determining what’s best in any given scenario. That massive carbon fibre rear wing isn’t just for show either – it works with the lightweight front bumper to assist airflow over the surface of the car, harnessing Porsche’s racing know-how in this road-legal gentleman’s racer. 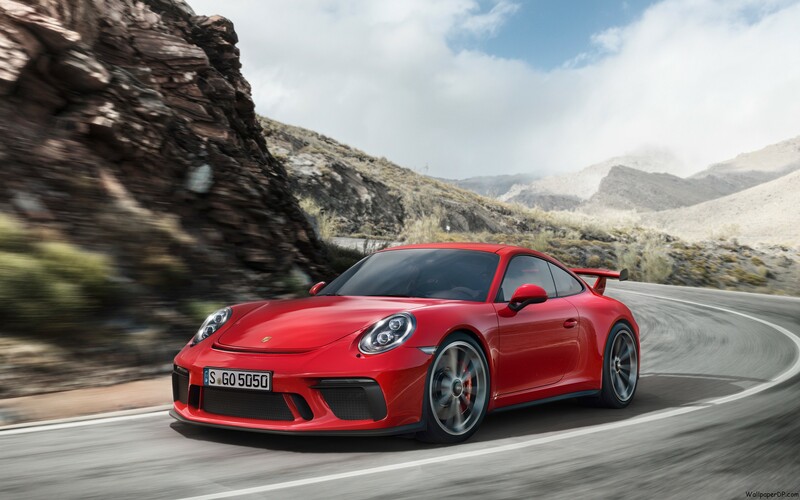 That’s right – even with all the “added lightness” and racing spirit Porsche have poured into their 911 (already no slouch) the 911 GT3 can be driven on the public roads, meaning you don’t need a lorry, a track and a team of mechanics to get your driving thrills. The 911 GT3 even comes with its own smartphone app, providing advanced analytics of your driving performance straight to your mobile device. New Porsche 911 GT3 2017 review – wow, wow, WOW! As the title of the video suggests, Auto Express were quite fond of the 911 GT3, which they tested round a deserted airfield that they had all to themselves. No, I can’t imagine many better ways to spend a day either. Jethro Bovingdon slithers the new 911 GT3 round Anglesey Race circuit, in the first part of his review of two halves. Sit back and enjoy this footage of the new 911 GT3 menacingly poised at rest, as well as where you want to see it – tearing up some quiet roads with that 4.0-litre flat-six howling to the high heavens. EVO also had a quiet Anglesey track and the keys to the new 911 GT3 – find out how it stacked up against the rest of their leaderboard below. Alex Goy lets the 911 GT3 show its fast side in this video for Carfection.